PRODUCTS & SOLUTIONS, powerful components and perfect match. EMPURON Software consists of powerful components that are perfectly matched. Using the consistent address system, information can be used at any location homogeneous in different modules. Process-Data-Warehouse: Optionally usable platforms: MS-SQL, ORACLE. PostgreSQL. Artificial Intelligence: Use of the EMPURON Technology based on Artificial Neural Networks. 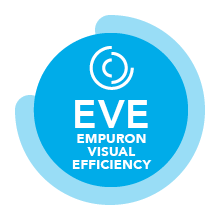 Using artifcial intelligence technology EMPURON creates completely new possibilities for processing information in everyday business. Interfaces: Manufacturer-independent data integration for almost all interfaces in the energy market, in enterprises and buildings. Reporting: Dialog functions with charting and SVG displays for definable and automatically generated reports.